It’s like the fluidity of Dubai’s skyline – the dynamics of the city’s residents. Expats ferry their biases all the way to the emirate from across the globe, and the UAE gently disabuses them of their notions. The play JLT, or Just Like That, which runs at The Junction from April 18-20, is a look at this process of dismissal. On New Year’s Eve, the denizens of a particular building in JLT find themselves armed with judgements and mauled by interactions with each other – inevitably, the rules of engagement are re-written and understanding dawns. “We live in a very unique time. People are looking for more reasons to divide rather than unite, there is this air of insecurity due to the global macro-economic environment, and times/trends are changing at a phenomenal pace making it hard for many to keep up. In a time like this there needs to be something which helps calm people down, put things into perspective, and just bring them closer together. JLT aims to deliver change via comedy,” says Asad Raza Khan, actor, co-writer and producer. 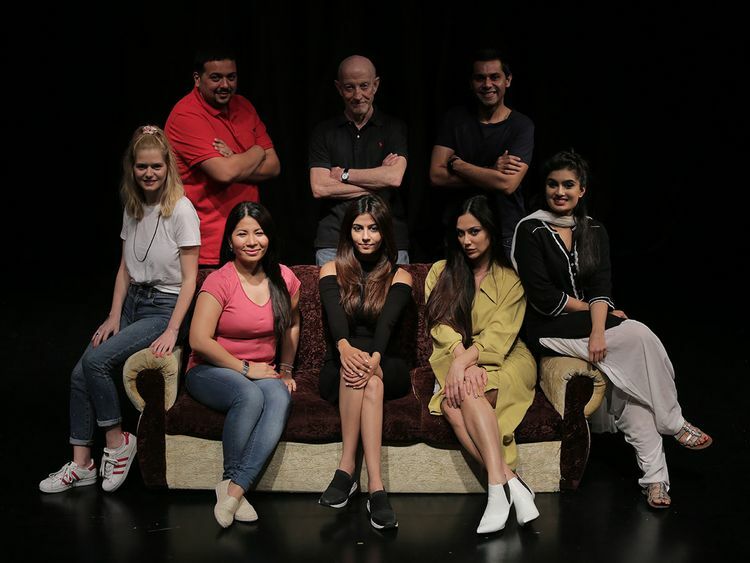 The cast is a mesh of nationalities- an Emirati writer, a British businessman, a European entrepreneur, a Lebanese airhostess, a south-Indian security guard, and an Indian or Pakistani Investment Banker – who live on the same floor. “What unfolds is a clash of perspectives, culture, beliefs, and way of life! Audiences will have a chance to laugh, cry, be shocked, and just enjoy the amazing story of modern Dubai,” he adds. The seeds for the plot were found during a workshop – and germinated scene by scene as rehearsals progressed. “This [project] showed how different people can bring together such great perspectives to make a final product. Each actor added to the character and made it their own. Some of the best moments of the run last time were a result of the inputs of the actors during the process. [The] key thing I learnt was - everyone has great perspectives no matter how different they are to your own - so one should listen and absorb, and there is no other craft like acting which is as inclusive, dynamic, creative, and provocative,” says Raza Khan. Amid spires of steel and glass live people with hearts of gold; it’s just like the skyline, you need to recalbirate things sometimes. Tickets to Just Like That, which runs at The Junction Theatre in Al Serkal Avenue on April 18-20 at 7.30pm with an additional 3pm show on April 20, start at Dh80.